The Los Angeles Lakers’ search for their next head coach is underway with several official candidates under consideration to replace Luke Walton. L.A. will conduct interviews with Tyronn Lue, Monty Williams and Juwan Howard, according to multiple reports. Prior to Walton and the Lakers agreeing to part ways last week, there had been rumors for weeks that the team’s former head coach was going to be fired. Now, Los Angeles is considering a few names that had been linked to the job since the middle of the season. Lue is the one coach that stands out the most. He took over for the Cleveland Cavaliers after David Blatt was fired in the middle of the 2015-2016 season, coaching the team to their first championship in franchise history. 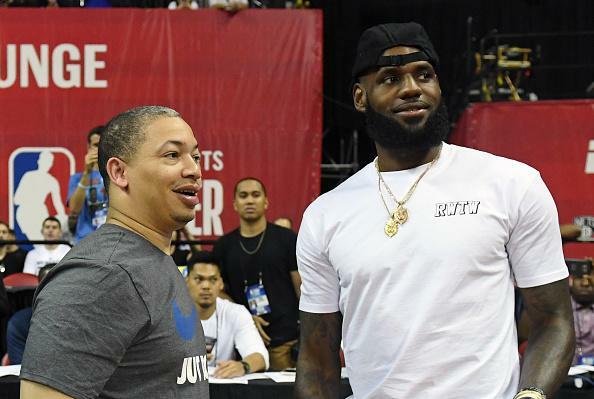 Lue coached LeBron James during his final 2.5 seasons in Cleveland, and he was fired just six games into this past season after James was no longer with the team. Williams coached the New Orleans Pelicans for five seasons from 2010-2015. He made two playoff appearances and won just two postseason games as a head coach. He was hired as a lead assistant for the Philadelphia 76ers last summer. Howard doesn’t have any head coaching experience. He was James’ teammate with the Miami Heat for three seasons, including two championship years. Howard has been an assistant coach with Miami ever since he retired in 2013. According to ESPN’s Adrian Wojnarowski, Lakers general manager Rob Pelinka is leading the coaching search. Walton has reportedly agreed to be the next coach of the Sacramento Kings. It’s been speculated that Jason Kidd and Mark Jackson might be up for consideration for the Lakers job, but neither former coach has an interview scheduled at this time.